Being the top scorer on the top team in the country tends to grab attention. 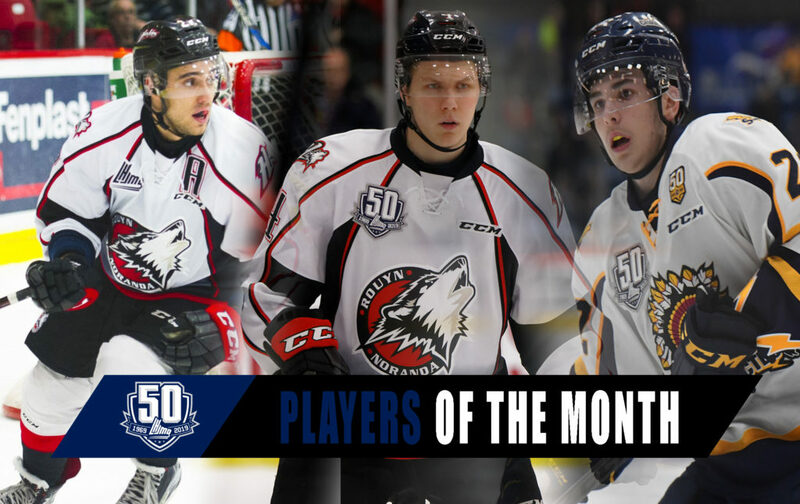 Center Peter Abbandonato and his Rouyn-Noranda Huskies teammates have done just that for much of the second half of the 2018-19 season. 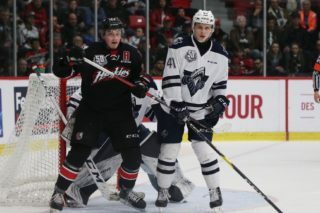 The 20-year-old from Laval, Quebec began the final month of the regular season by recording three consecutive multi-point games, including four assists against the Drummondville Voltigeurs and three helpers versus the Halifax Mooseheads on March 1st and 2nd, respectively. He then ended the season by registering points in four straight games, sewing up the regular season scoring title while also helping drive the Huskies to a record-breaking 59-win season. Overall, the fourth-year veteran recorded a +/- rating of +15 during the month. Abbandonato is an embodiment of the consistency that has been the trademark of the Huskies during this campaign. While the team has lost just once since the calendar turned to 2019 – including a record-tying 25-game winning streak – Abbandonato himself has been held off the scoresheet just twice over the final 19 games of the season and has been a “minus” player on exactly two occasions since the start of the new year. Abbandonato’s 111 points, 82 assists, 28 powerplay assists and +71 rating were all high-water marks in the “Q” this year. A second-round selection of the Huskies in the 2014 QMJHL Draft, he finishes his regular season career ranked third in Huskies history with 267 points and fourth with 264 games played. 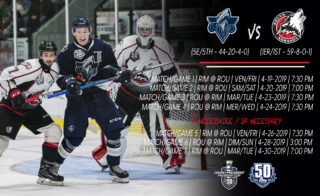 Both the Chicoutimi Sagueneens and their leading scorer, Russian winger Vladislav Kotkov, are hoping that entering the postseason hot will be the key to their success. Kotkov registered five multi-point games during the month, including four in a row to finish the campaign. Included in this impressive run were three two-goal games, against the Victoriaville Tigres, Shawinigan Cataractes and Quebec Remparts, respectively. Additionally, the second-year forward was a +11 for the month as the Sagueneens concluded the regular season on a seven-game winning streak. Kotkov completed the regular season with 34 goals and 61 points in 65 games while also recording a +31 rating. 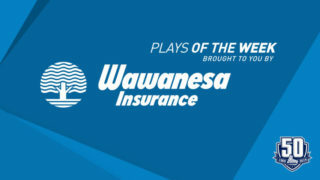 The Moscow native and San Jose Sharks prospect was also named the final Ultramar Player of the Week for the 2018-19 regular season in the QMJHL earlier this week. One of the many aspects of the Huskies’ dominating 2018-19 campaign was their astute defensive play. One of the keys to their record low 138 goals against was the play of rearguard Justin Bergeron. The 18-year-old from Magog, Quebec put together a pair of three-game point streaks during the abbreviated month while recording a +12 rating in the process. On March 6th in Shawinigan, he would provide the insurance goal in the Huskies’ 25th straight victory, which tied both a QMJHL and CHL record. Bergeron, currently in his second full season on the Huskies’ back end, held an even rating or better in every game during the month, part of a longer streak that now sits at 22 games. Bergeron completed the regular season with 16 goals and 57 points in 65 games, tops on the team among defensemen. His point total landed him in a tie for third among all QMJHL defenders. A fourth-round selection of the Huskies in the 2016 QMJHL Draft, Bergeron began the season at an NHL training camp as an invitee of the Boston Bruins. 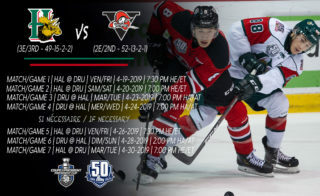 Facing off against the Charlottetown Islanders is considered a daunting task for virtually all opponents in the QMJHL. Their tenacity and drive are epitomized in defenseman Hunter Drew. The 20-year-old from Kingston, Ontario, who joined the club as a free agent in 2016, steady rose through the ranks before capping off the regular season portion of his junior career by tallying points in his team’s last four games, helping them secure home-ice advantage in the first round of the President Cup Playoffs. 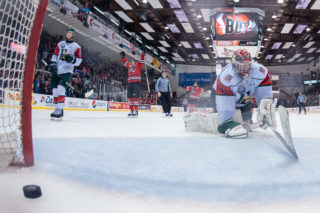 He also found the back of the net in three of his team’s final four contests, including the game winner versus the Acadie-Bathurst Titan on March 13th. Drew finished the 2018-18 campaign with new career highs in goals (16), assists (34) and points (50). The Anaheim Ducks made him a sixth round selection in the 2018 NHL Entry Draft. The third overall selection in the 2018 QMJHL Draft, center Mavrik Bourque made the most of his first season in the “Q”, particularly down the stretch. The Plessisville, Quebec native, who turned 17 in January, registered two multi-goal and three multi-point games during the month. None were bigger than his two goal, two assist outing versus the Victoriaville Tigres on March 16th. 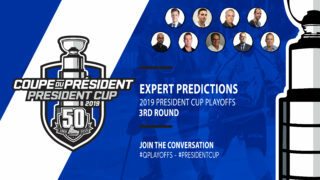 This performance played a pivotal role in the Cataractes ability to secure the point required to send them to the 2019 President Cup Playoffs following a one-year hiatus. Bourque opened up the month with points in four straight games, part of a 12-game point streak overall. All told, he would record points in 14 of his teams’ final 16 contests. A prospect for the 2020 NHL Entry Draft, Bourque completed the regular season with 25 goals, tops on the team and tied for first among all “Q” rookies. His 54 points placed him second in the league among all freshmen in that department. When Abramov struck in the month of March, he certainly made it count, with three multi-point games, two powerplay markers and a game winning tally. Included in this run were a pair of two-goal, three-point outings, first against the Saint John Sea Dogs on March 3rd, then against the Shawinigan Cataractes in the regular season final on March 16th. Arbramov, the 66th overall selection in the 2018 CHL Import Draft, finished tied for second in the rookie scoring race with 54 points in 62 games. The 18-year-old from Moscow, Russia also finished tied for second among freshmen with five game winning tallies.